Saturday evening I went to a local restaurant and had dinner with friends. Great food (Italian), I had Clams Casino and Cheese Ravioli and it was delicious. This was almost the last night for two weeks at this restaurant as they are closing until Sept 4th. This is the off season for businesses here and they often close for a few weeks to give their help some time off and reduce expenses. We will find another restaurant that is open during that time and when they reopen we’ll again enjoy their great food and service. 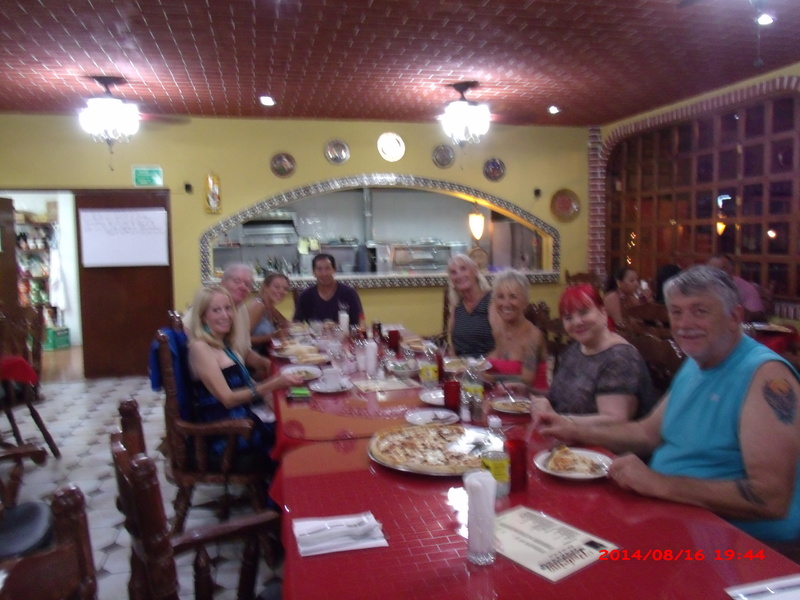 I enjoy dinning out with friends and here in Mexico I can afford to dine out often; I usually go to breakfast three or four times a week and have dinner out two maybe three times a week. Aren’t I lucky? I think I am.